Slip on Flanges, Slip on Flanges Manufacturers & Exporters, Slip on Flanges Suppliers. 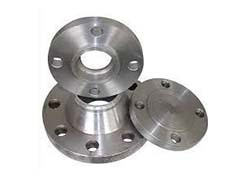 We Royal Steel India one of the leading Manufacturer, Exporter & Supplier of Slip on Flanges. Our high quality Slip on flanges are suitable for lower pressure applications. They are designed to reduce the production cost. They are widely appreciated for their durability, compact designs and cost effectiveness.